Time to review the production version of the MG6… It has enjoyed something of a rough ride at the hands of the enthusiasts so far – it’s been called endless names, accused of many ills and generally not had an easy life since it was launched two years ago. As for the rest of the car buying public, the MG6’s existence barely registers on the radar. That’s a shame, because whenever we’ve spent time with the ‘6, it’s proven to be a thoroughly decent car with one or two irritating flaws. However, a lot is riding on the new diesel version so, following on from last year’s brief test of a pre-production version, we’ve road tested it in top-of-the-range Magnette form. We’ve already concluded that the ‘6 is a great first effort from a new start-up company, albeit using one of the industry’s best known nameplates. The model tested is the four-door Magnette saloon, which now only comes in TSE trim and has a recommended retail price of £21,195. That’s quite a lot of car for the money, considering the standard kit, but until the end of August, you can pick one up for £16,981 as part of MG’s ‘no VAT’ deal. 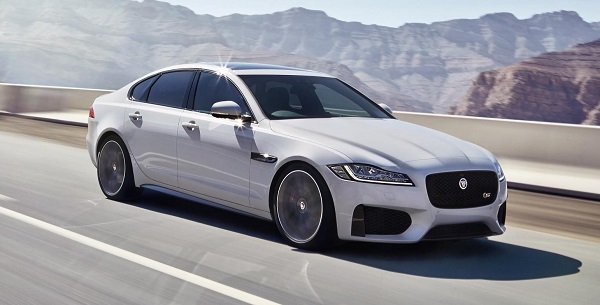 At that price, the fully-loaded four-door saloon starts to look much more tempting. 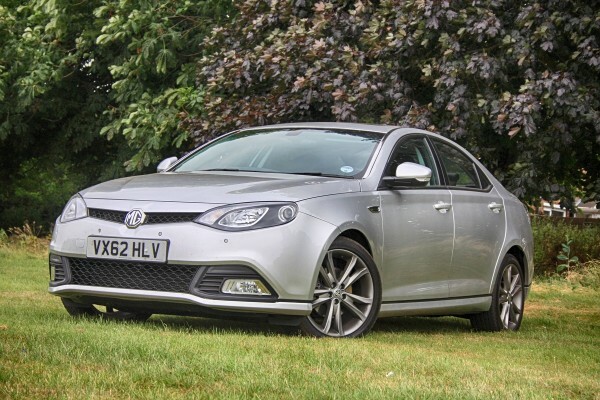 The MG6 has been been on sale in China since 2010 and in the UK the following year, but it’s a well-known fact among enthusiasts that this car has proven a particularly slow seller, with monthly sales rarely exceeding 30 and sometmes struggling to get beat 20. A limited range, small dealer network (around 30 nationally) and an almost complete absence of marketing are the principal reasons for this. Mind you, in a market where sales of non-premium C- and D-segment cars are declining, it’s a case of MG offering the wrong product at the wrong time. 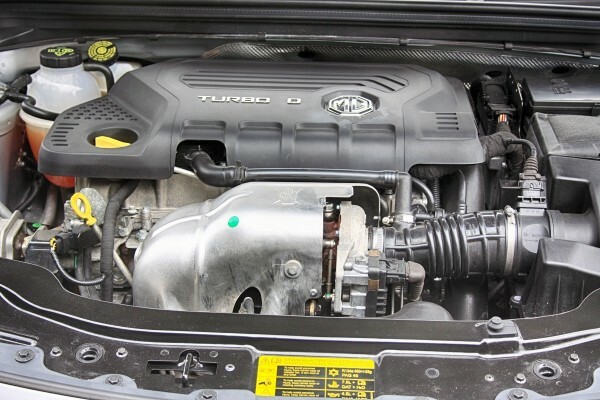 That said, the arrival of the 1.9-litre all-aluminium DTi-Tech diesel engine should help MG capture more sales. Production of the engine is a joint venture between Kunming-Yunnei and SAIC Motor although the 1849cc engine has been thoroughly developed and calibrated by the Engineers at Longbridge. The styling of the saloon and fastback MG6 was penned by the UK Design Team led by Tony Williams-Kenny based in Longbridge and it still looks neat and handsome three years on from the original launch – in saloon form, it’s balanced and understated, if slightly anonymous. 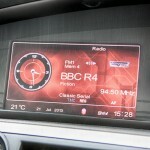 The interior is also modern-looking and shows signs of continued improvements in quality, since it was quietly launched. It’s a slightly sombre place, thanks to unimaginitive trim and colour choices, but the driving position is excellent, plus there’s plenty of room both front and rear. The boot is also large and well-shaped. Taller drivers will bemoan the dashboard-mounted ‘key’ positioning, which will foul their left knee, though. Visibility could be better, as side-windows are shallow and windscreen pillars are bulky enough to hinder your view significantly when approaching junctions and roundabouts. Equipment levels are generous, though – with the TSE model tested including integrated sat-nav and multi-media in-car entertainment, a reversing camera, rain-sensing wipers, a speed limit warning system, cruise control and parking radar. We should note that there’s also a USB input for the in-car entertainment system, but we couldn’t get it to work with an iPod. Other minor irritations include the lightweight key, nasty handbrake, scattered infotainment system controls and a climate control display that’s unreadable in bright sunlight. The steering is light and slightly lifeless, but it’s sharp and well geared so, once on the move, you’ll be impressed by how light it feels on its toes. Outright performance is strong (0-60mph takes 8.9 seconds), with ample torque between 1500 and 4000rpm. 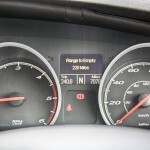 On the motorway, 70mph cruising is effortless, with instant punch available when needed. The pay-off is middling fuel consumption. In day-to-day driving, we averaged 41mpg, possibly on account of a week’s spirited driving. Stop/start and regenerative braking are both fitted to the MG6 diesel. Away from the motorway, the MG6 is genuinely capable. It handles well, with little in the way of body roll, and a firm and well controlled ride, keeping the worst of Britain’s B-roads in check. We’ll still temper that with some criticism of the brakes, which lack bite and don’t feel as strong on the pedal as rivals. 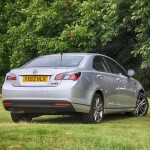 Overall, though, it’s a good effort from MG, which is most impressive in its dynamic – not static – qualities. Clearly, Andy Kitson’s Chassis Team has dialled-in the MG6 beautifully on British roads. Quality fetishists will rightly point out that its interior lags behind the front-running family hatchbacks, with some rough edges, and disappointingly unsatisfying controls, such as the stiff and cheap-feeling handbrake and steering wheel-mounted menu scrollers. However, these are small irritations in the context of its current discounted price. Plump for a more sparsely-equipped S in fastback trim and you’re looking at a full-sized fast and fun to drive diesel hatchback for less than £14,000. That’s mid-range Fiesta money. We’re hoping that MG retains these competitive prices – especially considering the unimpressive residual values – as despite, what we heard to the contrary at launch, people will buy MGs on price first. Recent stinging criticism elsewhere in the media has been unjustified, though. In reality, it’s an Anglo-Chinese car that is almost hampered, rather than helped, by the MG badge on its snout. Why? Because it’s raised false expectations. Clearly, this is MG Motor UK’s first attempt at selling a car in Britain and the company appears to have underestimated what’s needed to establish itself in one of the toughest markets. 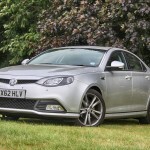 The MG6 diesel is an honest car that’s good to drive, fairly rapid and, at current prices, a bit of a bargain. Is it as bad as Clarkson said it was? No, of course not. Yes, there are still one or two questions over the 6’s viability in the UK, not least the lack of dealers, questionable reliability and parts back-up and poor residual values. But its maker is about to begin ramping up its profile with the MG3 supermini and that may well mean some additional exposure for the MG6. It really does deserve to sell in greater numbers than the pitiful amounts it does at the moment. 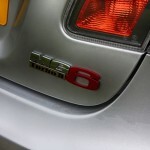 Lacklustre sales as with the MG6 diesel must improve by market penetration and public awareness – MG3 must address this. 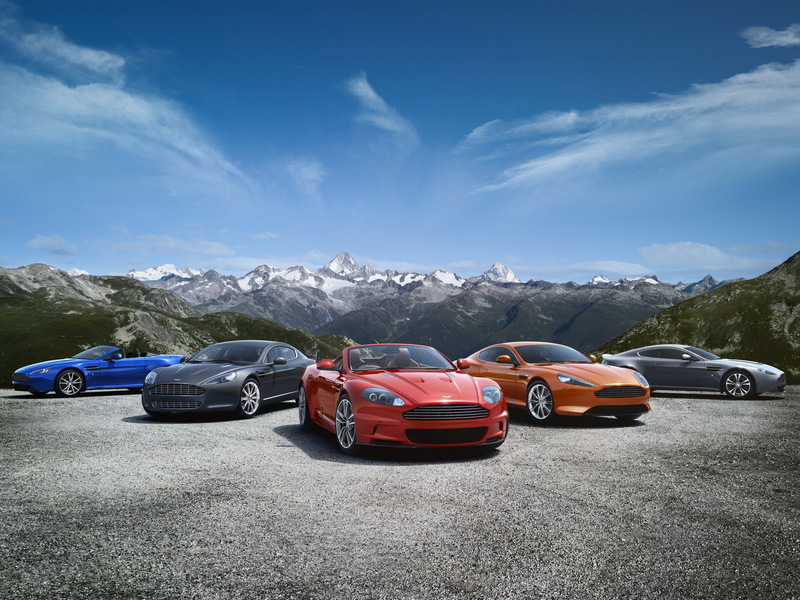 Yet again we see that the car itself deserves significantly higher sales. Ok, it’s in a now declining market segment and sales may never be huge but the current figures are just plain sad! A well balanced critique,on the subject of unbalanced, cant wait for Graham to sodden his Y fronts with a snidey comment aimed at me for having the temerity to offer any vestage of praise to this vehicle. Spoilt for a hap`orth `o tar namely criminally dismal brand presence and one or two minor rough edges. Maybe MG UK are finally getting ‘it’. I note Autocar are putting a diesel 6 on their long term fleet….. I await their reports with interest given the idiotic performance from Top Gear and Clarkson. I have seen Top Gear the first time in 1983. it was really an interesting made motor show. Clarkson made everything to destroy that well made show. He and his two guys should do what they can. Make a show for children which were under two years. I think kids which were younger than two years were on the same intellectual level as these three clowns. Getting outraged at reviewers for condemning a car that is made by a company was distantly related to a car company you’re a fan of will achieve nothing. Chinese owned MG shot itself in the foot, by its poor advertising, poor pricing and quality issues. It is all very well saying it is a bit rough around the edges, but that simply isn’t good enough. The customer has a ton of choices, and won’t tolerate rough around the edges. Neither will they look at a car with such a limited range. MG need to think again, and do what KIA did. Build the brand with keen pricing and a quality product. Screw it together properly and you build loyalty. At the moment the British MG operation is a loss leader to help market cars in China, and that provides British jobs, which is a good thing. However nothing I have seen so far suggests that the Chinese have any real interest in the British and European markets. I hear what you’re saying, and you’re right, of course. I completely agree about the limited range, and the rough edges – but if this pricing point that MG finds itself in through its discounting becomes permanent (and I sincerely hope it does), this will be less of an issue than you might think. People who aren’t buying premium, buy on price, and £13K for an MG6 represents a lot of car for the money. People speak ad infinitum about KIA and Hyundai around these parts as a shining beacon of how to win over the European market. And they’ve both done remarkably well at what they’re doing. 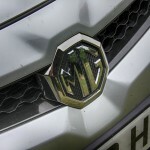 MG Motor UK is in year three of the model programme (here in the UK). At the same point in Hyundai’s UK history (1985 following an ’82 launch), the company had the Pony II and Stellar. Kia arrived in the UK in 1991 with the Pride, and by 1994, that range expanded to include the Mentor. At that point in both marque’s histories (in the UK), neither were considered exemplars of quality, desirable products. They were cheap simple products, bought by people on price. And in both cases, were mainly recycled older products – in the case of KIA, the Mazda 121; and Hyundai with its Mitsubishi-engined cars underpinned by much Ford engineering, with European styling (notice any parallels?). In fact, the Pony was already eight years old when it was launched in the UK. Of course, Hyundai as an carmaker in its own right was largely shaped by ex-Austin-Morris man, George Turnbull. If he were alive today, he’d be exceptionally proud of what ‘his’ company has achieved in the 40 years since Pony production started out. Hyundai’s first ‘European’ factory was opened in Turkey in 1997 (admittedly on the other side of the Bosphorus, but it was primarily tasked with churning out cars for the European and Russian markets. This was about the same time as KIA went bankrupt and was bought out by Hyundai. It could be argued that KIA and Hyundai’s credibility as mainstream producers – for Europe – has really gained traction within the last 10 years, with products such as the C’eed and i30. And it’s also worth noting that now Hyundai and KIA are considered by-words with value, they no longer need to sell their cars cheaply, as buyers make the value connection themselves. So you now get a range of cars that’s priced similarly to other mid-market players, such as Ford and GM. Point is, it’s been a long-game for the Koreans, and their labours are seriously bearing fruit now, more than 30 years after they debuted on the world stage. It could be argued that such is the strength of the Koreans that they’re close to taking complete charge of the centre ground of the market place, leaving companies such as Renault and PSA with little room to sell their cars in. That’s why Hyundai-KIA is the world’s number five carmaker. I also suspect that SAIC’s future plans are similarly ambitious, and they’re making some mistakes along the way. But it’s hard not to be impressed with what SAIC has achieved with Roewe and MG in a few short years (admittedly when you’re looking at the Chinese end of the business). 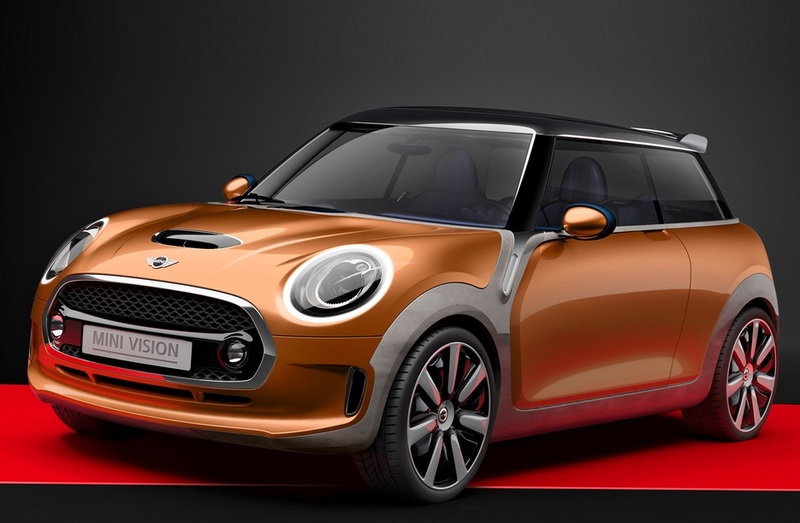 From a standing start, they have created a range that spans much of the centre market, offering everything from superminis to SUVs. There’s still much to do, and the jury’s out as to whether Roewe and MG will end up being China’s Hyundai-KIA. 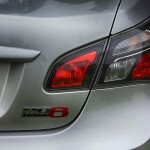 But going back to MG6 – it acually has far more potential, relatively speaking, now than the Stellar did back in 1985. Similarly bought on price, it’s capable and actually pretty good to drive. And that leads me to believe that in time, once the Chinese company decides it really wants to take a serious stab at the European market, it will do very well. Oh, it’s a long and frustrating game SAIC is playing, that’s for sure. But I suspect if it pans out, it won’t take nearly so long as it took the Koreans (or indeed the Japanese before that). @8, I enjoyed every sentance of that post and i thank you. Regarding Keith’s response #8. Good set of points raised which deserve to be in the main article (or another one). I remember the days when the Hyundai Pony was considered by enthusiasts as worse than a Marina (some going) whereas their cars today are a credible choice. Keith – While you’re completely right about Kia and Hyundai’s rise, and how long it’s taken, your comment is missing one rather important factor (which in fairness you mentioned in your review): Advertising. Hyundai and Kia started slow, but they also advertised. As did Daewoo, which while no longer with us, sold in reasonable numbers when they were here. Yes, all sold on price initially – but they also sold because people knew they existed. It almost doesn’t matter how good a car the MG6 is, or how low it’s priced, if the money-wielding public don’t know it exists. The modern parallel here is Dacia, of course. Ticking over nicely with sales rolling well into four figures for each model. And, naturally, they advertise. It’s GCSE-level Business Studies stuff and it staggers me that whoever is making those calls at MG isn’t promoting the company in the UK. Agreed – and I said in the main article that MG Motor UK’s biggest mistake in launching the MG6 is failing to promote it in any meaningful way. It’s had a disastrous effect on sales. In fact, I’ve written reams on the subject, and it almost feels like Groundhog Day to do so again. You’re right – and I think we both know that the blame for the lack of advertising comes down to the undersized marketing budget coming in from China. It’s all well and good saying that the MG6 was part of the ‘Phoney War’, and that the big push comes with the potentially better selling MG3, but the worry is that they’re going to be starting from scratch with it – and that, had they taken the MG6 more seriously, there may well have already been some momentum behind the MG marque come the time MG3’s launch. I remember the launch of Daewoo, as they were advertised everywhere with their headline grabbing long warranties, and lots of promotional activity. It does beg the question as to whether SAIC really want to expand MG in the UK and Europe, as it’s been incredibly half-hearted. Do they do an auto??? Interior colour options ???? Don’t know about the NZ market. In China you can certainly choose beige/grey interiors, and get the autobox with the petrol model. But you’d need to check your importer for that. In the UK, we’re denied these options. Which is a shame. Keith makes excellent points relating to Hyundai. The old man had a Stellar back in the day, as he had fond (rose-tinted?) memories of his Cortinas and wasn’t taken by the Sierra. Hyundai had built Fords for the Korean market (Cortinas and Granadas) – as had Kia (Pride = Mazda 121 = Ford Festiva). The Stellar was based on a Cortina platform with a Mitsubishi engine and an Italdesign body. In execution, however, while it was cheap, it wasn’t really cut out to be a workhorse. He had terrible trouble with his. The i40 seems a world away from that, snapping at the heels of the Mondeo. This will only sell if they get two basic things right: price and long-term reliability. The first is easy to achieve, I have major doubts about the second. Although I feel the word anonymous is a little bit too mean a way to describe the ‘6. It looks properly sharp in these photos and quite Roverey. I don’t like the interior myself – it puts me in mind of a 2004 Bush DVD player- but I look at the road when I drive, not the car so I don’t really care about that. Do you know what? I want one. But this matters very much for me: Keith, how comfortable was it, and would you happily drive it from one end of the country to the other? Looks like a really underrated car which needs fair reviews like this one to boost sales. I hope more UK buyers (and MG lovers) will support it and the Longbridge jobs. I would be delighted if some LHD versions assembled in the UK could reach France. I need to add a new car to my MG fleet (one ZT 190 and one ZT 260). I think the MG3 will be the company’s breakthrough if they, firstly, expand the dealer network and advertise it aggressively and, secondly, if they ensure Japanese levels of quality. The MG6 looks OK, but the dash looks cheap and nasty and 41 mpg is nothing for a turbodiesel these days, considering most of its rivals will do well over 50. It’s a very reasonable, agreeable car – the seats look good in the photos as well and, in the right colour, this car looks the part. Having done 16000 miles in my petrol Magnette TSE, I find the seats to be more comfortable on long journeys than any car I have ever had before, including the 75. Your neighbours will ask you if the headgasket has failed yet and makes silly jokes about crappy Rovers etc. The criticisms can be addressed. Steering needs mechanical PAS as it gives a more direct feel. EPAS has a habit of leaving a numb feeling around the bends. better weighting on the flywheel may perhaps help with the stalling problem or perhaps a change with an additional change to the ECU map to make a better job of taking up drive. Long game for SAIC and a product which is really impressive for a first effort. Once SAIC get into their stride, and they will, MG will be a major worldwide car brand. Meh. Interior looks nice. But it only manages 5 more mpg than a 5 cylinder safrane petrol (when used in its proper environment of course)? Curse of the gutless wonder perchance? It matters little anyway, these days no one except Apple gets a second chance. Oh and Keith, when 8 people comment on the wonders of the all new british JLR I’m perfectly entitled to call them out on it. The MG6 is a nice looking car, especially in that bronze gold colour but people aren’t going to take the risk on what they believe to be a one customer wonder. I know what happens there to my cost.. Laguna, every part available – Safrane good luck, youve more chance of finding a coffman starter for a Griffon engined saddleback than you have a track control arm for a Safrane. As to Clarkson its true he’s a horrible little man who makes Max Mosley seem likeable & Michael Gove seem intelligent but the depressing reality is that most of humanity aren’t much better and buy accordingly.. Explains why BMW, Samsung & Apple are so popular unfortunately. It might be me but that turbo looks like it’d be more at home strapped to the inlet side of a BMW 801H. Its big in comparison to an 1850 engine. Mayhap thats part of the reason for the stalling? I do remember there being similar problems when people had the bright idea of up turboing the Renault 5 (Darwin alone knows why, it was a danger to life limb and wallet in factory trim…) It’d fly at reasonable speeds but it stalled more times than the DWP computer system. The problems at this new price are not the cars but the company itself. I mean my nearest dealer is 45 miles away. Who in today’s world will buy a car from a company where the nearest dealer is that sort of distance. If I had any issue with the car it would have to be towed to them as it couldn’t make that sort of distance under it’s own steam with a major issue. Then the other issue is parts and service, if you want to keep the book stamped official its to long a trip and same if you want accessories or a part to replace a bit of damaged trim. No matter how good the cars are if there is not place near to support them people will just not buy them. Every other marque in the UK is within 2 miles of my home bar Dacia which is 12 miles. So MG have a lot of work to do to increase sales and to do this they need more sales/support coverage and lets face it without the dealers to support/sale the cars there is no coverage and that’s the problem, why travel such massive distances to get a car when others are so much more closer. Even if its not the car you really way. So listen MG UK get some more dealers or lose some you have and space them out better throughout the UK and then you have a network to support your products. @32, Fuel boiling in float chamber caused the 5 GT turbo ploblems,phase 2 models had a fan and ducting to the carbs to eliminate this problem. That’s the same one Jezza drove ? Nice review. The MG badge does hamper sales, as to the average non enthusiast owner etc , MG has a rep for constantly boiling like kettles at the side of the M6 !, and with the enthusiasts even at exAvis prices it is still £5k more than they are used to paying for an MG !!! The more ignorant ones perhaps. I wasn’t saying everyone may find the MG a more interesting choice than a Kia or similar. However, I’m sure this buying choice, preference could often be the case. Ultimately, I’m just saying the 6 deserves far better sales and could appeal to a sizeable group of people if advertised and sold through a larger network. @34, Boiling like kettles,a thing of the past thamks to MLS and black manifold gasket,most engine recon shops i speak to do one a week now, five or six years ago these heads kept the business afloat alone. The TCi-Tecmay look the same but internally they are stronger and the heads are better-as originally intended i suppose. I now have experience of a 1.8 75 and since a 1.4 ZR. The 75 had big issues (but did mange 20k miles perfectly well after the second gasket replacement). My ZR is a different kettle of fish. Only 29k on the clock when bought, only one owner for about 27k of them and always fully serviced by the same specialist. I’ve added 15k miles in the last year, and put it through two full and two interim services. Still no signs of HGF. The opinions I’ve heard from people in the know are that they don’t all fail. No issues if you look after them. Different casting techniques – use of MLS and uprated lower rail – better liners – more astute attention to liner protusion – remote thermostat position – better quality bauxite too. 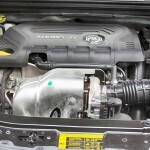 The TCi- tech is a solid solid engine! I really want MG to do well, but seeing that the cars have hardly registered on the sales charts worries me a lot. Are the Chinese serious about trying to crack Europe or even Britain for that matter? I fear not, I think the general public would sit up and take note and perhaps be behind the reborn MG if full production started back in the UK. To have knocked kits imported from China just for final assembly just rubs salt into a slow healing wound. We have the brains to design and think of innovation at the MG Design Centre, so question is why not explore a meaningful production back at Longbridge. Instead of it being a token gesture, SAIC I hope you’re listening. My comment 38 – should have referred to 35 & 37 when yet again pondering the subject of HGF. The ‘boiling like kettles’ comment suggests it’s almost inevitable. Not what my current garage (a Rover specialist) suggests. Any other opinion would be of interest…. @42, Hi Dave, as regards HGF ,i hardly see them now,but if i do i ALWAYS use MLS and ‘headsaver’ shim,take a mm or two off the dowels, scrupulously examine liners for blueing or cracks (of course) and check for melted/corroded inlet manifold-yes the plastic crumbles in the lands of the gasket area. Also some ZR’s have a SAAB sourced water valve below the thermostat housing- i replace that as well as water pump and the ‘stat. The bleed process- Organic acid technology (OAT)coolant and water open the bleed valve on the steel pipe till no bubbles, same for the matrix pipe,i have started using a airline operated drain/refill device (mainly for BMW,MINI and Smart cars) and works really well. To be honest, i see more VAG TDi headgsket failures than i do K series. Thanks for the expert info, Francis. Having bought my 75 with my heart I just want to make sure the ZR also purchased with my head and much better knowledge remains the little gem it truly is! Should the gasket show signs of failure I want expert and correct replacement this time – no subsequent issues. Now on 44k I’m hoping to reduce the ZR’s annual mileage by using my Mum’ ‘Y’ plate, 11k miles only VW Polo for a few work journeys. I’d like to see the ZR parked at shows, still mint, in years to come. Just where does my enthusiasm, loyalty to ‘the firm’ come from? I couldn’t really say but it’s been in my blood since about 1978 and the age of 10!! I know this sounds shallow, but I would not buy a car where I couldn’t plug an iPod in and make it work. It’s that fundamental to me. It does sound shallow, but I thought the 6 could use an ipod via the head phone socket? 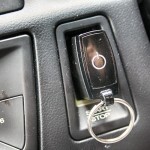 A USB stick is more useful in case you leave the Ipod in the car by accident and some yob breaks in and steals it. Perhaps the MG3 is more up your street? 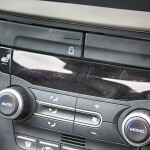 Nah come on – any car with USB that can’t drive an iPod/iPhone in this day and age is seriously lacking. Getting the proprietary chips for iPod/iPhone connectivity can be anything from $20 per unit. That’s probably the wholesale price of the CD player in the first place. If the radios originate in china, the Apple devices may not be as popular in the market (due to the sheer cost perhaps) as generic MP3 players which would be USB compatible. Maybe the MG6 should have been priced without VAT from the start, they sound good value from 13K in diesel!!! That’s Fiesta money, main problem is complete lack of awareness from most of the population. I saw my first ‘6 last week, travelling back from France around.. Birmingham.. driven by an Asian guy clogging the middle lane at 65mph!!! IPod in a car? You’ve lost me there folks – I couldn’t give a damn! Agree with Dave #50… I’ve got no interest in iPods, USB connectivity, Bluetooth etc in cars either. Basic radio and CD player does for me. Exactly! Where has the joy of motoring gone? All this SUV, Ipod, Stop/Start, Parking Sensor etc nonsense. Give me my ZR anyday. In tune with the road, a joy to drive, I can see out of it properly (active safety)and things like the great seats, lovely alloys are worth far more than any IPod b*ll*cks. What exactly is an IPod anyway?! No apologies for my ignorance here! You might not like these fitments, but buyers clearly do – and that’s what’s important. The first rule of selling is – the customer is always right, and you should always give them what they want. After all, pretty much everyone else builds cars that are iPhone/iPod compatible. The radio around here is appalling, full of over-ego’d DJs spouting nonsense cringeworthy ‘banter’ as they try their best to flirt with the newsreading lady and seemingly constant adverts for ‘divans’ and kitchens, and not enough music (bring back the pirates!). A CD is alright, but I usually find I buy a CD and maybe like 2-4 songs on it. On a 25-40 min commute, it is a lot of repeating. MP3 CDs are a good compromise, ~600mb of songs, ~150 4 min songs. An iPod can store thousands of songs, days of music! I want all of this music with me when I’m driving! The old kenwood headunit the seller left in the Celica has an iPod USB input, I would probably expect this of a car costing > 7 times. Try a DAB radio tuned to Planet Rock. It’s all you’ll ever need. I can barely get an FM reception out in the sticks, nevermind trying to get DAB stations! What is the reception outside of cities like? Does it work with a small ‘beesting’ aerial? When reception is patchy, is it like digital TV when the aerial moves, where it makes the high pitched ‘quip’ noises and cuts out? The one thing I can not understand is the lack of models, yes we have one petrol and one diesel, where are the other engines and the auto box that is available in China, surely it can not be that difficult can it ? The lack of options is another thing, yes they come very well equipped, but people love to have options to chose from, even if they never pick any, they at least want the chance to do so. #55.Does Planet Rock do Mahler 5 ? Yes, I know! The first rule of selling is to give people what they want and the majority want such kit. I suppose I was just talking with a more nostalgic, enthusiast head on – thought on this site a few sympathetic, like minded comments may follow. Hilton saw my point before I got a tad carried away! I now see the point ref the iPOD, speaking as someone who always drives with music on. My earlier comments were not meant to be too specific or even 100% serious. Like I say, I was being more nostalgic enthusiast. That said, I am not overly attracted by a load of gizmos. I reckon there would be big demand out there for new, simple, CHEAP. In my view, we’ve just got to get past the Chinese MG image. I hate the whole ‘image’ thing – but in reality the world cares! If you imagine (if all goes well) in a couple of years time MG will be a respected name again. Then we’ll see whether the world wants to have an MG on their drive or a Kia? It ain’t rocket science – acceptable style, design integrity, sound mechanics, nice interiors, good warranties and a growing dealership. A winner – especially with an MG octagon on the front! Maybe we can’t speed this process up but it’s darned frustrating all the same. Nothing is set in stone – In 10 years time BMW could be receding from our driveways in the wake of a massive MG onslaught of finely crafted and desirable cars. Stranger things have happened in the car world – check the history! 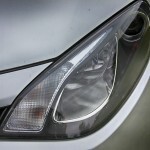 Is it just me or does the MG6 look like the current generation Astra from the front? A number of times I’ve thought “is that an MG coming towards me?” then realised it’s the Vauxhall. @49 didierz, for a whole two years, I only saw one MG6 (in Stafford). Then a few weeks ago, I had to start commuting down Bristol Road past Longbridge, and I see four different MG6’s going towards and from the Longbridge plant! So according to my unscientific survey, I suggest that 80% of MG6’s are owned by Longbridge employees :D.
Seriously though, that first one I saw I thought was a new anonymous looking Proton until I got close enough to see the badge. To be honest I was horrified how cheap it looked. I’m much more optimistic about MG3 as it has a far more realistic pricing structure and buyer’s are more likely to forgive shortcomings in quality in a budget supermini than in a £20k saloon. 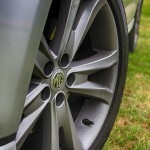 One other curiosity – I used to drive past an MG garage in Stafford every day and never once did I see an MG6 on display! There was always a selection of used 25/45/75s outside, but never an MG6! No wonder it never sold!